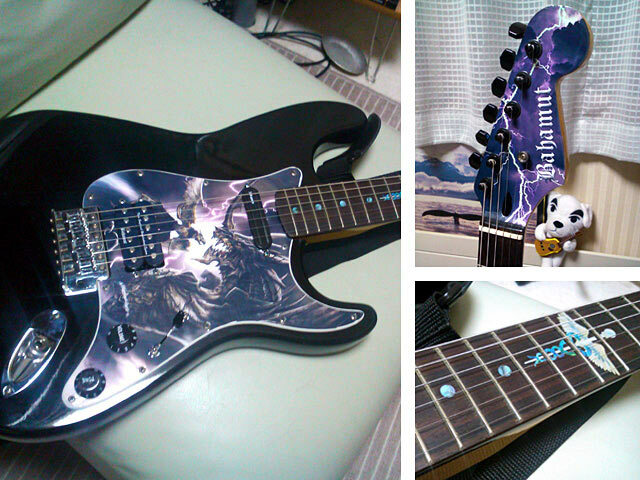 These pictures have been contributed by guitar's current owners who loves inlaystickers! From beginners to seasoned professionals, we offer a venue to share. Please make it reference of your shopping or just browse. 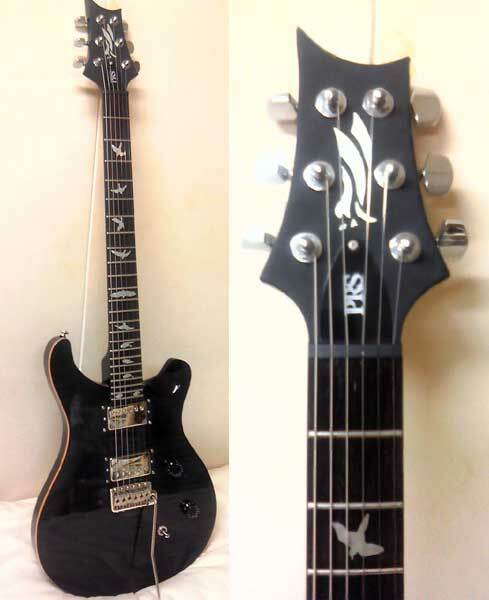 This gear is Schecter, isn't it? 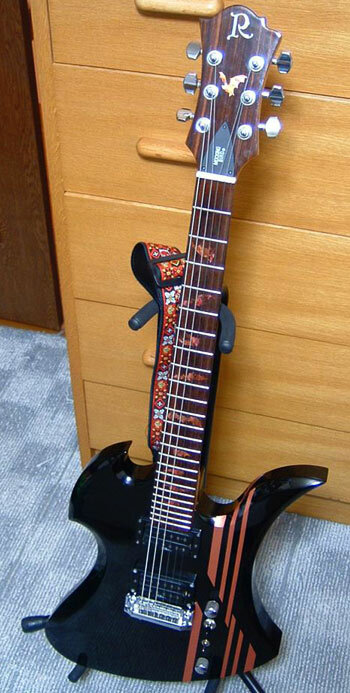 It was installed to fretboard arranged Pylramid and Playing Card Fret Markers. Got them in six days. Excellent service! 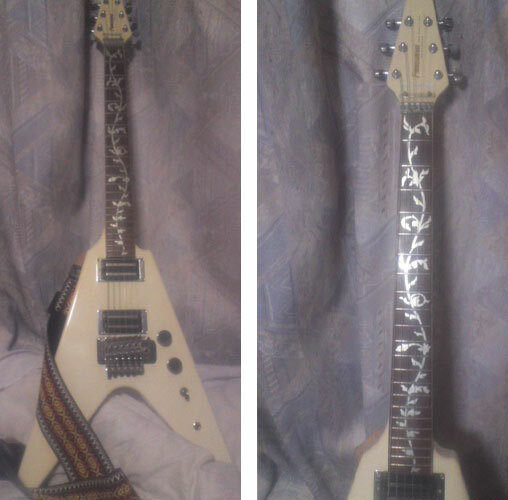 Heres a picture of what I want to do to my inexpensive guitar. Thank you again and I hope to order as soon as I here from you. 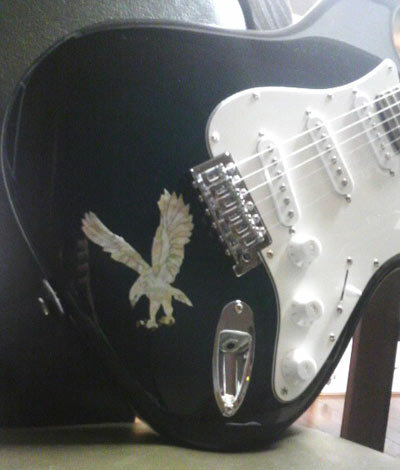 Thank you for your sending picture. 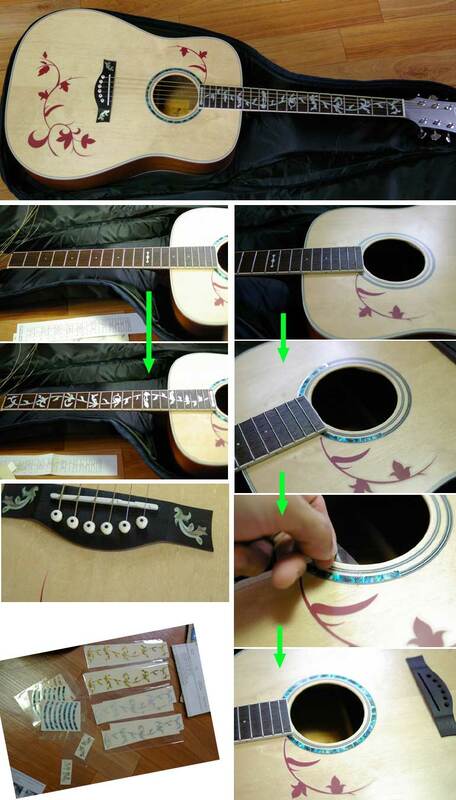 It is not inexpensive guitar!! 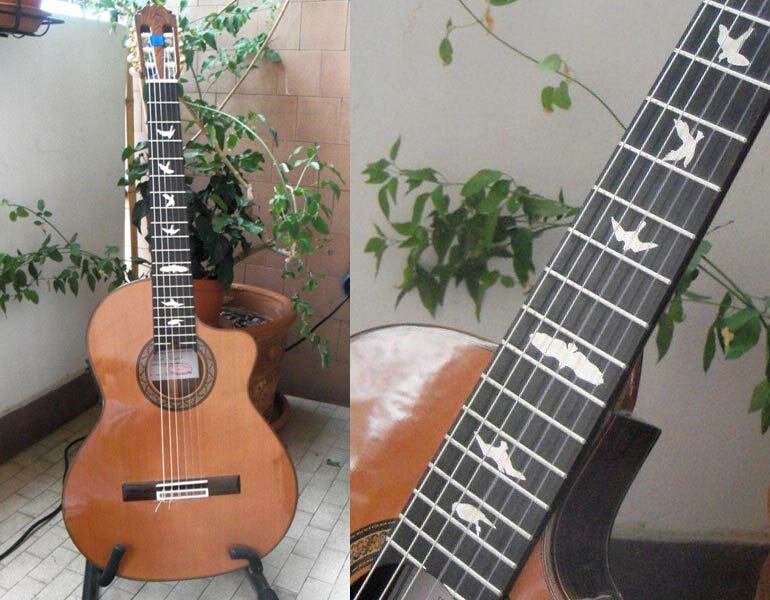 Gothic Line L&R is god gor your guitar. Hope to deal with you again!! 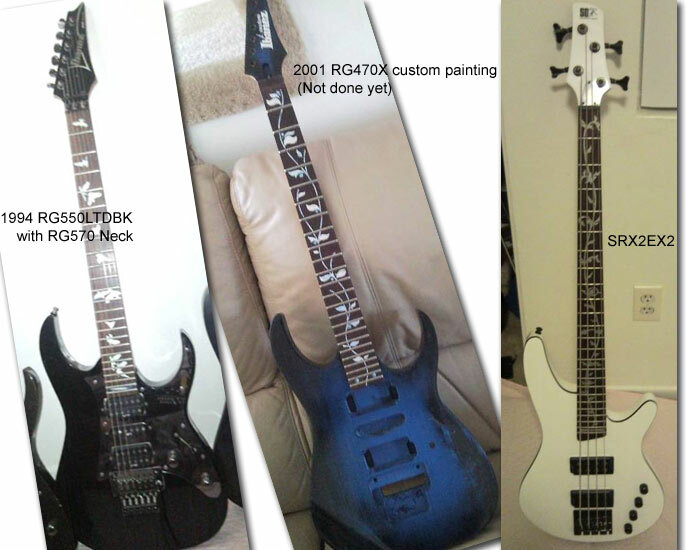 Here’s some pix of my 2 beloved Ibanez RG guitars and My Ibanez SRX Bass. 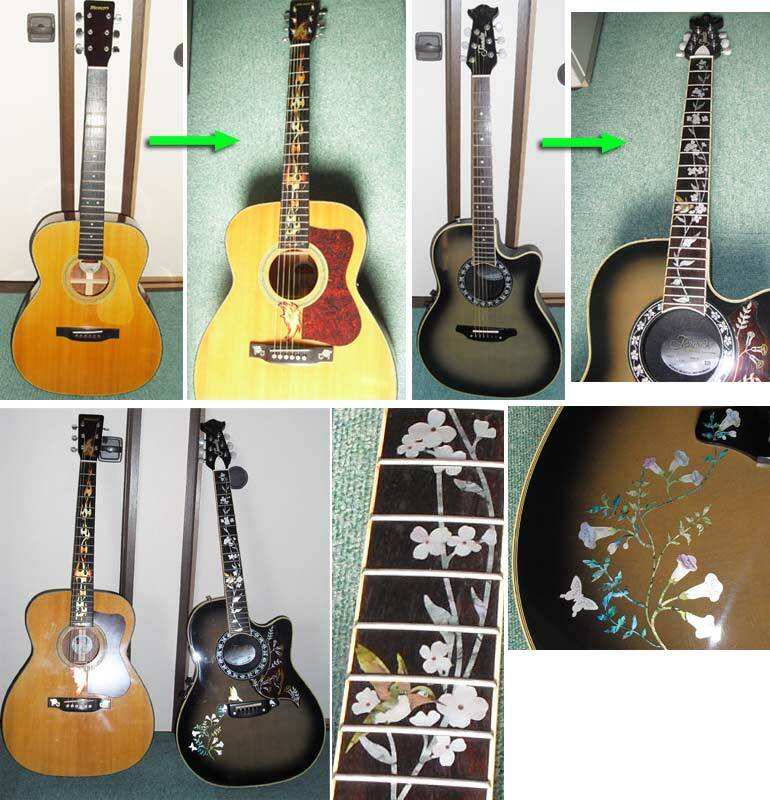 Thank you for sending some pictures. 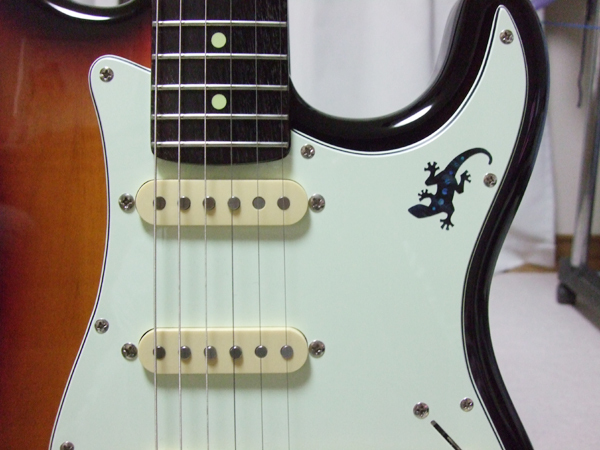 I'm happy to hear you enjoying Inlaystickers. 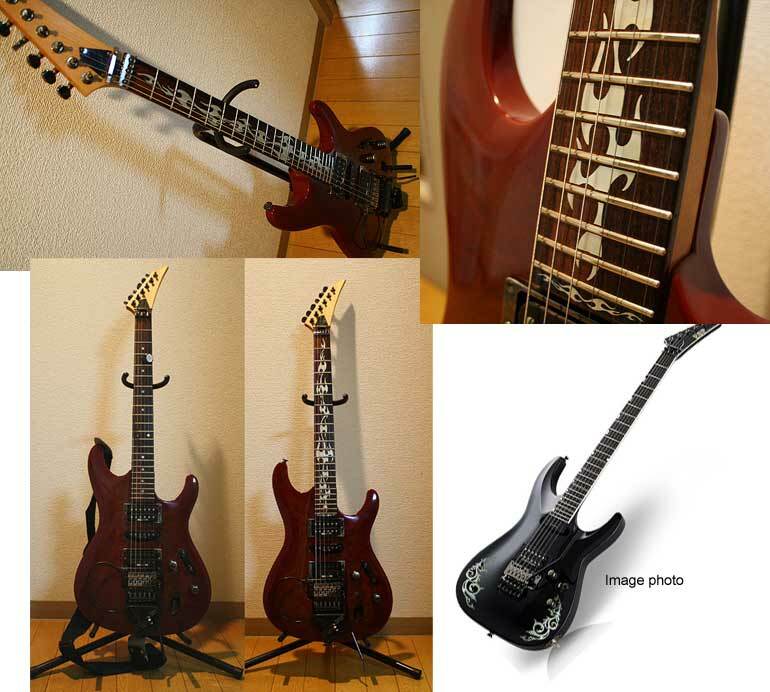 How is 2001 RG470X painted finally? I'm looking forward to it. 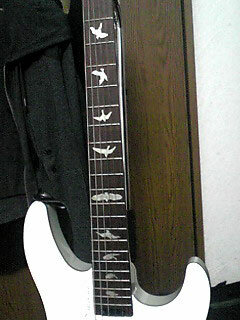 There is a good chemistry between Ibanez Gear and Tree Of Life or Birds. It will be a real pleasure for me to deal with you! Thank you for sending photo. 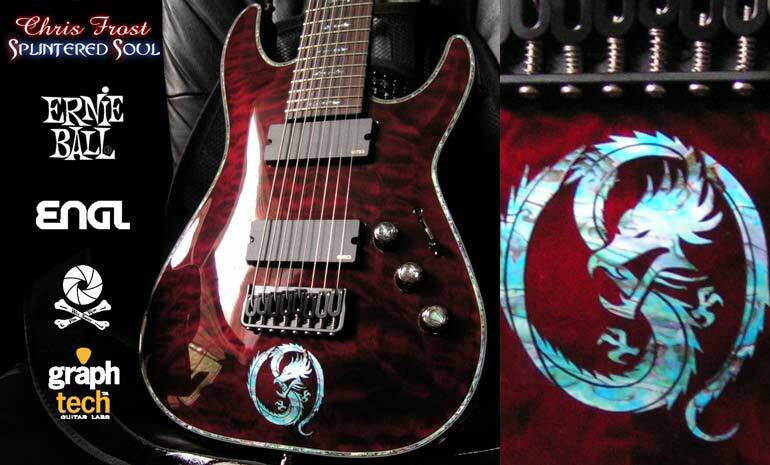 This dragon was made a custom order for this gear. 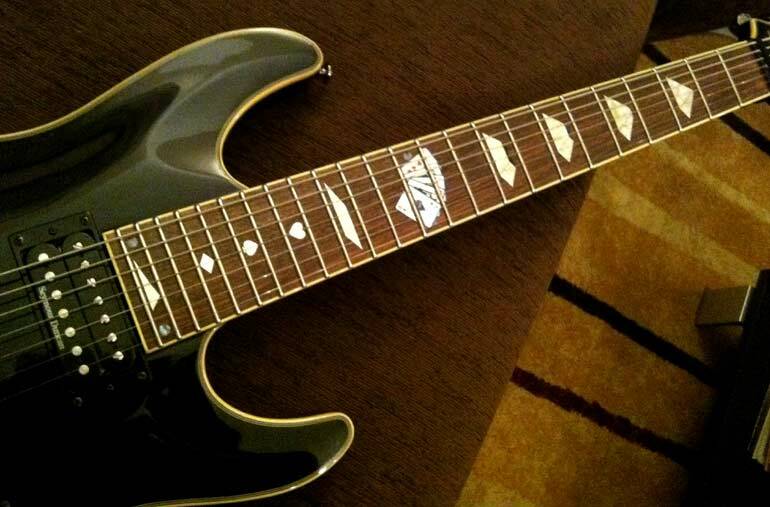 Probaly, is this guitar Schecter?? 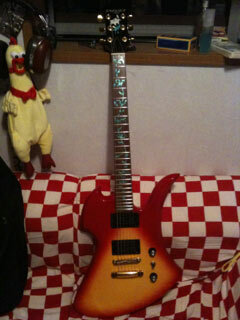 Attached are a couple of pictures with the new sticker on the Les Paul. Thanks for the awesome product and awesome service! 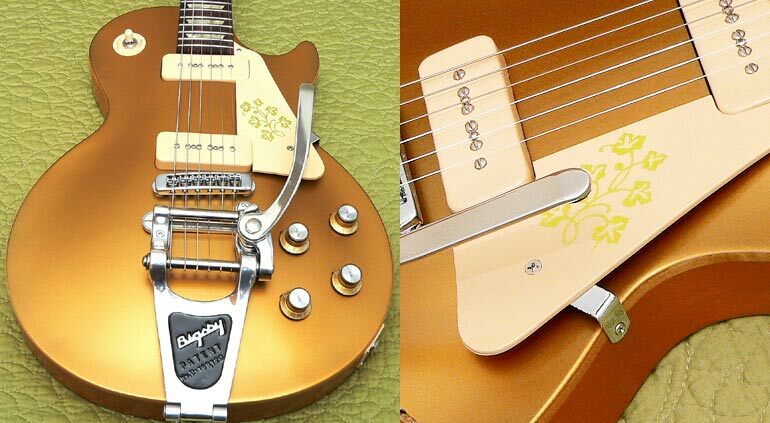 The decal really adds to vintage look of my Gold Top! I'm very happy to hear such a compliments. 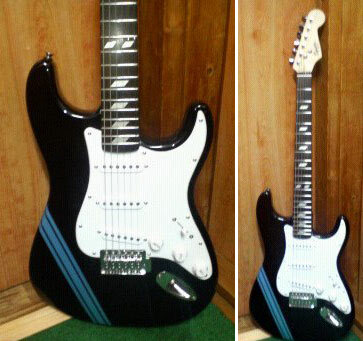 "Gold Flower for pickguard Inlay sticker" match to this guitar!! If given the opportunity, I hope to deal with you again! Thank you for making a good products. 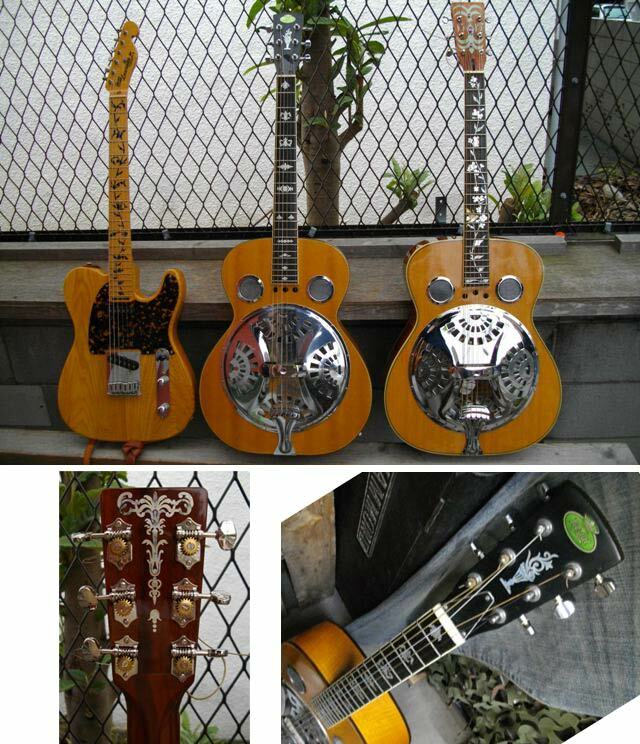 Thank you very much sending many pictures!! I want just to thank you for the fast delivery of your wonderful stickers. Thank you very much sending a picture. 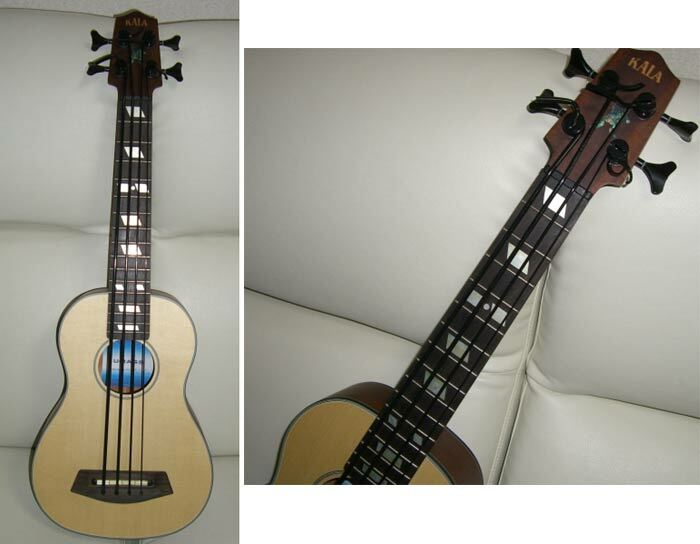 It's a beauty, I love it.